Our society has inhabited the planet of Terra for several hundred thousand years, but has only been in significance for just a short few in that long space of time. What exactly did we do for all those years? Our ancestors led nomadic and tribal lifestyles, hunting for game with spears and congregating in caves, often around small fires. They were often fearful of things they didn’t understand. It was more than explaining why the sun rose, it was the mystery of the enormous creatures that coexisted alongside them. So we gave them the title of “gods”, or “demons”, and begged them to spare us, and prayed upon them for salvation. As time progressed, their numbers waned and ours grew. Our environment around us quickly began to make more sense when there was less to fear, and more improve, to make efficient. But alas, the unexplained will still exist like a nagging question—never to go away. As if our universe demands nature to be absurd and impossible. We must not go back to cowering in fear. In our modern age, no one will protect us—except ourselves. Whilst the rest of mankind, the commoner, stands in the light, we ourselves must get dirty and stand in the darkness to fight it, investigate it, locate it, and keep it from the eyes of the general public, so that the many can live in a sane and normal world. We investigate. We locate. We secure. Operating often clandestine and across Terra, the Wechsler Foundation operates beyond jurisdiction, enshrined in the trust of every major national government with the task of containing anomalous objects, entities, and phenomena. These disturbances pose a significant threat to security across the globe by threatening either physical or psychological harm. The Wechsler Foundation operates to preserve normalcy, in order for the Terran civilian population to live and continue about their daily lives without fear, mistrust, or doubt in their personal beliefs, and to continue human independence from extraterrestrial, extradimensional, and other extranormal influence. The Foundation operates thoroughly to uncover the nature of these phenomena, determine the severity of said phenomena to the general populace, and to deconstruct the natural habitat or natural conditions for the phenomena, and to group it into several predetermined groupings. Utilizing the extensive research done prior on a given phenomena, the next natural procedure is to determine its location. Regardless of the danger or remoteness of the location, the Wechsler Foundation will track it down, for it is imperative to determine its natural habitat, so that the next procedure can begin. The last step and naturally the most dangerous, depending on the complexity or severity of a given phenomena. A main goal typically consists of preventing its influence or effects of the spread of a given phenomena, by either relocating, concealing, or outright dismantling said anomalies or by suppressing, and preventing public dissemination or knowledge thereof. 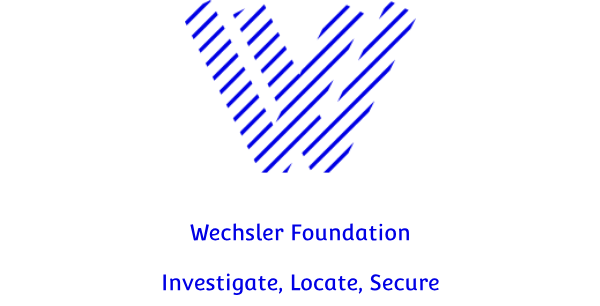 The Wechsler Foundation undertakes covert and clandestine operations across the globe in pursuit of our organization’s primary missions. The Foundation maintains an extensive database of information regarding anomalies requiring the above procedures, referred as varying degrees of Unexplained Occurrences, with differing forms being supplemented between Unexplained and Occurrences. The primary Foundation database contains summaries of such anomalies and emergency procedures for maintaining or re-establishing order and security in the event of a breach. Anomalies may take many forms, be it an object, an entity, a location, or a free-standing phenomenon. These anomalies are categorized into one of several Groupings and are either contained at one of the Foundation's myriad Secure Facilities or contained on-site if relocation is deemed unfeasible. The Foundation operates with the utmost secrecy. All Foundation personnel must observe the Security Clearance Levels as well as need-to-know and compartmentalization of information. Personnel found in violation of Foundation security protocols will be identified, detained, and subject to disciplinary action. The Foundation is not the only organization with knowledge of and capability to interact with or utilize anomalies. While some of these Groups of Interest have similar goals and may cooperate with us on issues of global security, many more are opportunistic and profit-oriented, seeking to adapt or use anomalies to their own ends. Foundation personnel are instructed to treat individuals from such groups with suspicion at all times, and collaboration with such groups without the explicit prior consent of Foundation leadership will be cause for termination or other disciplinary action. All anomalous objects, entities, and phenomena requiring security procedures are assigned an Object Grouping. An Object Grouping is a part of the standard security procedure template and serves as a rough indicator for how difficult an object is to secure. In universe, Object Groupings are for the purposes of identifying containment needs, research priority, budgeting, and other considerations. A phenomenons Object Group is determined by a number of factors, but the most important factors are the difficulty and the purpose of its containment. These are the most common Object Groupings used in research articles, and make up the bulk of the phenomena. Safe-group phenomena are anomalies that are easily and safely contained. This is often due to the fact that the Foundation has researched the phenomena well enough that containment does not require significant resources or that the anomalies require a specific and conscious activation or trigger. Classifying a given phenomena as Safe, however, does not mean that handling or activating it does not pose a threat. Cautionary-group phenomena are anomalies that require more resources to contain completely or where containment isn't always reliable. Usually this is because the phenomena is insufficiently understood or inherently unpredictable. Cautionary is the Object Group with the greatest scope, and it's usually a safe bet that given phenomena will be this class if it doesn't easily fall into any of the other standard Object Groups. As a note, any phenomena that's autonomous, sentient and/or sapient is generally classified as Cautionary, due to the inherent unpredictability of an object that can act or think on its own. Extreme Risk-group phenomena are anomalies that are exceedingly difficult to contain consistently or reliably, with containment procedures often being extensive and complex. The Foundation often can't contain phenomena of this group well due to not having a solid understanding of the anomaly, or lacking the technology to properly contain or counter it. A Extreme Risk phenomena does not mean the phenomena is dangerous, just that it is simply very difficult or costly to contain. Counter-group phenomena are anomalies that the Foundation uses to contain or counteract other phenomena or anomalous disturbances. Even the mere existence of Counter-group objects is classified at the highest levels of the Foundation and their locations, functions, and current status are known to few Foundation personnel outside of the Organizational Council. Defunct phenomena are anomalies that are no longer anomalous, either through having been intentionally or accidentally destroyed, or disabled. What is the Closed Environment Test (CET)? If you lock it in a box, leave it alone, and you're not entirely sure what will happen, then it's probably Cautionary. If you lock it in a box, leave it alone, and it easily escapes, then it's probably Extreme Risk. If it is the box, then it's probably a Counter. Note that as a special consideration, something that is autonomous, alive, and/or sapient is almost always at least Cautionary-class. That is, if you lock a living thing in a box and forget about it, it will eventually suffocate or starve to death, and that's not a good outcome. Something that is intelligent could also end up being smart enough to outwit its containment procedures and/or stop cooperating with the Foundation's attempts to contain it, making it more dangerous than it otherwise might be. Posts can be related to unexplained phenomena, but they must be grounded in realistic science fiction. Posting outlandish or fantastical articles will deteriorate the reputation of this organization's page. Research Procedures: General knowledge of this given phenomena was largely brought to the attention of the Foundation via word of mouth. Several anonymous letters and emails were received by the families of former representatives from the research team of Valruzia's Walatom who had been dispatched to study the immediate effects of the Vanukean-launched nuclear weapon on the southern region of Jelbania over a century ago. The largest amount of reports of this given phenomena were determined to be from the sprawling industrial city of Ornaéhrne, in the Tribal Areas of Jelbania. Of the 150 cleanup crew members and research staff sent by Walatom, only an estimated 35 returned safely. Of the aforementioned 35, nearly all of them reported being injured by not only the radiation, but also massive pulses of visible electrical energy in several areas across the city. The Foundation has dispatched several teams on-site with the consent of the Jelbanian government to confirm the existence of what is now being designated as an Unexplained Electrical Occurrence, commonly referred to by field teams as a "Flasher". Description: From what has been returned to us by our field researchers, A "Flasher" or "Flashers" are several concentrated, pulsing outbursts of massive electrical energy. Being found generally anywhere in the city of Ornaéhrne, be it in a grassy park or deep underground, it nonetheless does not minimize their possible danger. From research logs, a fellow crew member of the Foundation received severe electrical burns on the left side of their body upon getting too close to the electrical phenomena. The shock also ruptured his hazmat suit, requiring him to be rushed back to a safe decontamination location. Seeming to be fluid in nature but generally observed to be non moving, the "Flasher" has been assigned to the "Cautionary" group. Research members for reasons stated above are to advise extreme caution when documenting the phenomena. Of the field photos gleamed of the subject, only one, if of poor quality, has been obtained, which has been attached below. According to the Foundation's field photographer, who utilized a hunting camera affixed to the wall of a sub basement where the Flasher was located, the graininess of the photo is likely a result of the sheer intensity of the electrical energy released with each pulse. The image gleamed from the Foundation's field photographer. The location of this Flasher was determined to be located in the sub level of an abandoned hospital. Security of the given phenomena is difficult to achieve, yet possible via several pre-existing systems utilized to limit the spread of electricity. Most locations where the Flashers were described by the former Walatom team have been successfully identified and their spread limited, but it is highly likely in other, less unexplored areas of the abandoned city, more of them may exist. October 4423- Walatom researcher recounts to upper echelons of the corporation about receiving electrical burns from an unknown source, despite never being near any exploded or active transformers. The researcher was treated and their testimony left buried in corporate documents until retrieved by the Foundation. February 4510- The Foundation, with the express and thorough consent of the Jelbanian government, dispatches several field teams to confirm their existence, based on aforementioned letters/emails obtained prior. Research Procedures: The Foundation learned of this given phenomena via news reports of suspicious activity in a museum in Turtle Bay. The reports stated that guests of the display would attempt to break the glass and kill themselves with Anomaly #0002. The museum was forced to hire armed guards, however they too began attempting to steal Anomaly #0002. After the reports, the Foundation stepped in and requested to study the phenomena at the Foundation research center. Anomaly #0002 was determined to be over 3000 year old. Anomaly #0002 was then identified as belonging to the Red Raven tribe, located deep in the mountains of Keymon. Anomaly #0002 was found nearby 28 skeletons, all of which had sustained significant damage. Later research determined this damage to be artificial, instead of natural. According to the Red Raven tribes oral history, they had been a human sacrificing tribe until an event know as “The Awakening”. According to the legend, Anomaly #0002 was found nearby an active volcano & was said to hold immense sway over humans. The Tribe then took Anomaly #0002 as the official weapon of there chieftain. However according to legend, the chieftain began a human sacrifice using Anomaly #0002. When Anomaly #0002 was plunged into the victims heart, Anomaly #0002-1 a “black creature with glowing red eyes & vicious fangs and claws” was immediately released out of Anomaly #0002. It immediately began killing the tribesmen, successfully killing 27. However a lone tribesmen stabbed the creature with Anomaly #0002, recapturing it. However this cost him his life as he was said to have withered away like a dead leaf. Anomaly #0002 was recovered by archeologists in 4498 and was moved to a museum later that year. Researchers have given Anomaly #0002 the name of “The Demons Knife” & Anomaly #0002-1 as “The Knifes Demon”. Description: Anomaly #0002 is an obsidian bladed knife with a marble handle, decorated in images of horses & oxen. Anomaly #0002 is unbreakable via human means. Researchers have already attempted to destroy Anomaly #0002 by detonating explosive charges underneath of it. The explosives, like all other attempts, failed to damage Anomaly #0002 in any way. 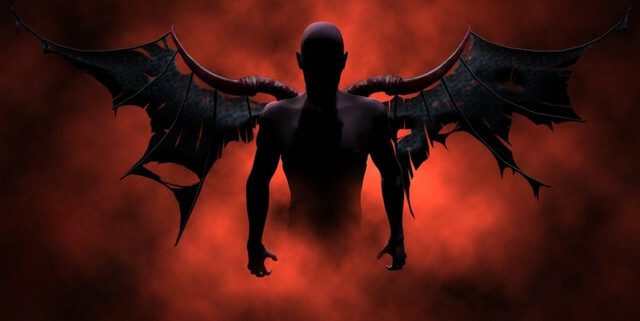 Anomaly #0002-1 is a black figure with glowing red eyes, a wingspan of over 5 feet, claws and feet, & 5 inch long fangs. Anomaly #0002-1 violently kills any humans it can find, while also eating parts of there body. Several tests run by Dr. ******* on Anomaly #0002-1 has led the Foundation to conclude that Anomaly #0002-1 is actively attempting to destroy Anomaly #0002. The Foundation believes it is due to the fact that only Anomaly #0002 can permanently contain Anomaly #0002-1. Anomaly #0002 is currently being held at *********** in a maximum security area of the facility. Anomaly #0002-1 is currently being stored within Anomaly #0002 in ***********. For the safety of all personnel, it is required that personnel work in 1 hour shifts to prevent any mind altering effects from Anomaly #0002. If any personnel are to, unauthorized, attempt to retrieve Anomaly #0002, they are to be shot until incapacitated. If Anomaly #0002-1 escapes from Anomaly #0002, all personnel are to attempt to recapture Anomaly #0002-1 by stabbing it in the chest with Anomaly #0002. 4498- Anomaly #0002 is discovered nearby 28 skeletons. 4510-the Institute studies Anomaly #0002 & discovers Anomaly #0002-1. 4510-the Institute does several tests on Anomaly #0002 & Anomaly #0002-1, determining that Anomaly #0002-1 is actively attempting to destroy Anomaly #0002. The Institute also determines that Anomaly #0002-1 is a “demonic creature” from Hell.